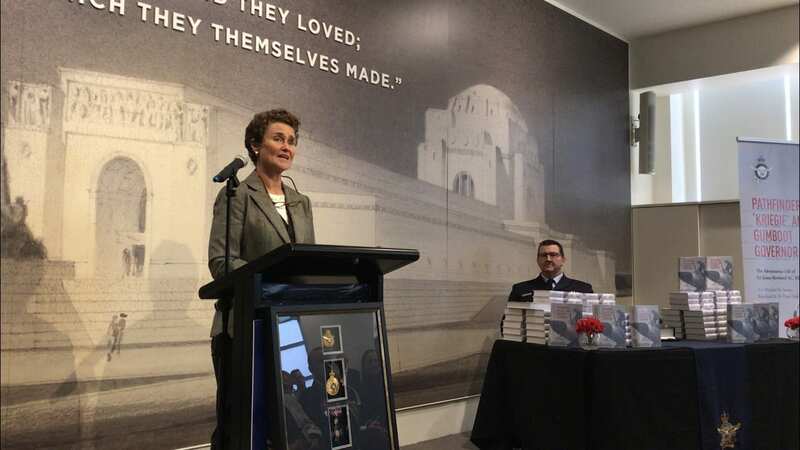 On 30th November, 2018, our family had the wonderful privilege of launching my father’s autobiography Pathfinder, Kriegie and Gumboot Governor at the Australian War Memorial with the support of the Royal Australian Air Force. The journey to publishing my father’s memoirs has been an interesting experience, most of all because through the process I have met some wonderful people and continually ask myself whey we didn’t get on to it before my Mother died in 2011. My father was diagnosed with lung cancer on 24th December, 1998, and on 25th December, 1999 he began two-finger typing what would become 150,000 words of personal reflections, finishing – quite literally in mid-sentence – when he got up to 1947. We found the manuscript on his computer shortly after he died in May 1999, but for many years I couldn’t bring myself to read it, nor could my mother. After her death I finally got around to it and what I found was a marvellous story which made ‘boys own adventures’ look pale by comparison! What Dad had managed to write in those few short months formed a solid basis for a good yarn but we still had a lot of work to do to finish telling the story and it was through the support of Air Marshal Sir Angus Houston and Professor Geoffrey Blainey that we met Dr Peter Yule. At the time Peter was working on a number of other projects, but we managed to negotiate a starting date and from that time he patiently trudged up to our house on Pittwater to delve through trunks of documents, photos, scraps of paper, logbooks, drawings and memorabilia. In addition he navigated the RAAF and War Memorial Archives together with interviewing as many people as we could find who remembered my Dad, and were still capable of telling the story! Sadly we did miss a couple (such as Gough Whitlam and Neville Wran) which was a great shame as their stories would have been great to include – especially the one Gough told me about being at Paul’s College and Dad making everyone rush outside to look at a plane flying by! Nevertheless, Peter has managed to pull everything together seamlessly to craft a tale that my father would have been proud of. 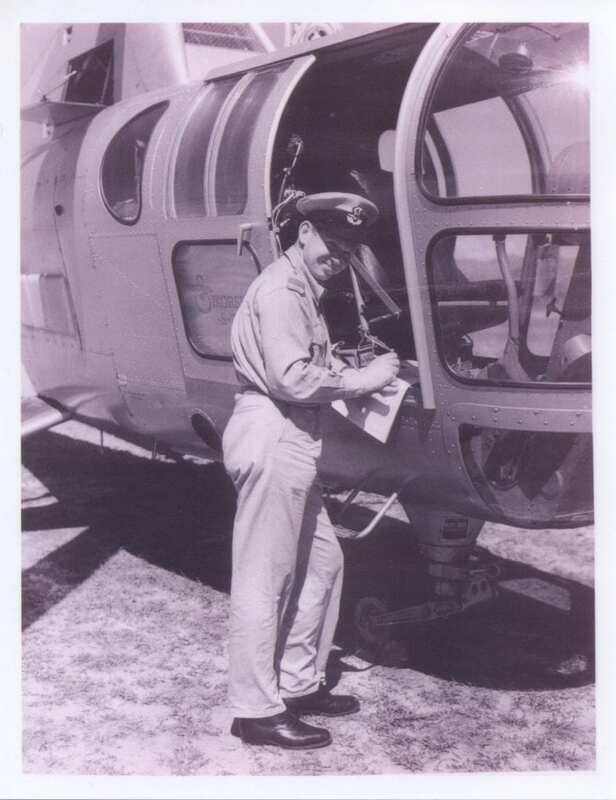 Dad was primarily a country boy who was obsessed with flying. He had grown up on the land near Armidale on a property near all of his Wright cousins, went to Boarding School and University in Sydney and then signed up to fly in the Second World War. That is enough of an adventure in itself! But then he came back from the War and began his career as a Test Pilot, before progressing through the RAAF to eventually become it’s Chief of Air Staff. When this finished in 1979 he thought he was going to go back to aeroplanes but the Universe gave him the challenge of entering in to politics as New South Wales’ 33rd Governor. Funnily enough much of this had been predicted by a family friend in London during the war, and in some ways the folklore around it in our family meant that when his final appointment was announced it made perfect sense. My father had a great dream to fly, and to help develop the craft and mastery of aviation. In doing so he followed his passion and his words are testimony as to how someone’s passion can guide and steer their lives. My father was, above all else, a Servant Leader and we hope that his story will be an inspiration to others in daring to follow their own dreams without reservation or hesitation. There are so many people we need to thank for helping to make Dad’s two finger typing a published reality and I would like to list them here in order to give them our deep-felt thanks. There are others on the periphery and my apologies to anyone I may have accidentally omitted. Wing Commander Dave (Freddo) Fredericks – for his enthusiasm, diligence, attention to detail, patience, insights, humour and above all hospitality! Flight Lieutenant Simon Hall – for his assistance with “the medals”! Bel Campbell – for helping to “Bellify” the end product! And above all my family for their patience and my friends for coming along! Now … the next step is to get a bigger print run and get the book in to the shops for Christmas 2019 … bring it on!!! For those who can’t wait here is a link to a digital copy. This photo says so much about Dad with his broad smile beside something that flies!